Wheat and other crops that the people of al-Mansoura town, southeast of Tabqa [Tebqa / Al-Thawrah], rely on in their daily survival have declined to less than half as Turkey continues blocking the flow of the Euphrates river, which constitutes a violation of the Convention on the Law of Non-Navigational Uses of International Watercourses. The Euphrates passes through Turkey, Syria and some parts of Iraq. The river is the main resource that provides drinking water. The Euphrates Dam in Al-Tabqa provides electricity and irrigates the agricultural lands on both banks of the river. The principles of international water law stress that countries should share trans-boundary water resources. Article 3 of the UN Watercourse Convention state that every riparian state in an international watercourse is entitled to prior notice, consultation and negotiation in cases where the proposed use by another riparian state of a shared watercourse may cause serious harm to its rights or interest. 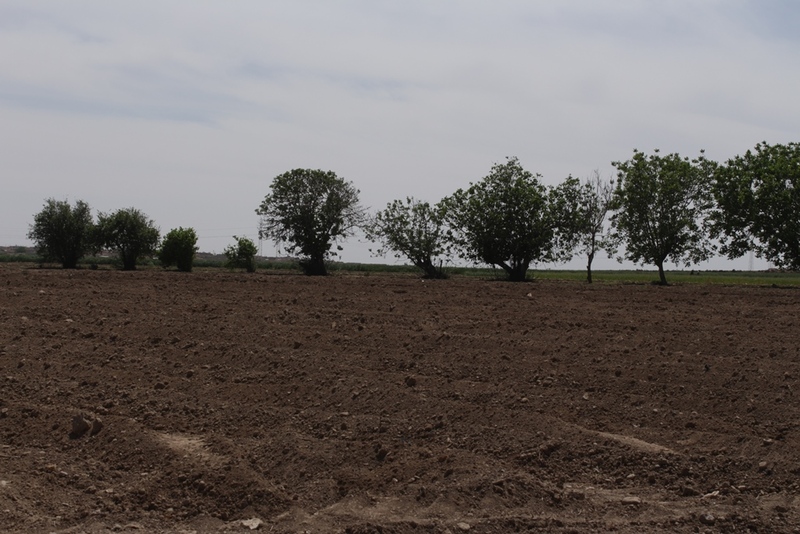 There is a growing fear among the farmers of Al-Mansoura that Turkey could continue its policy of blocking the Euphrates river. These fears have led many farmers to stop planting. Unofficial statistics state that the rate of wheat plantations have reduced to less than half. More than 90% of agricultural land used to be dedicated for planting wheat. Many people started relying on artesian wells to irrigate their crops. An administrator who works in the municipality said that Syria used to provide food for the whole world, and the agricultural decline will have a catastrophic effect on farmers in the region in the absence of international support.